Success in Medical Sales Means Showing Up! You may have heard the quote . . . “Success is 80% showing up.” Is this true? In medical sales, definitely. It’s worth a listen, don’t you think. Especially since, well, 80%! Learn the secrets of Top Medical Reps and Get Support to Help You Get There. How? 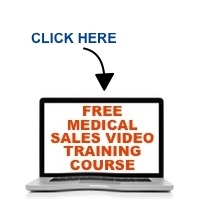 It’s called Medical Sales Academy.